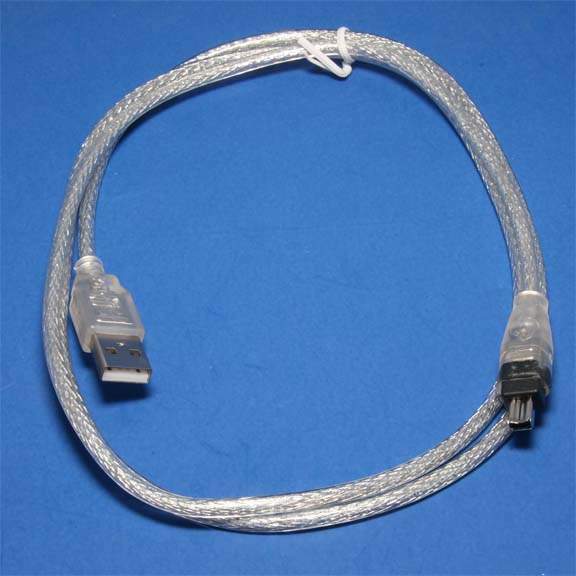 Either Way This Cable does not Work on any Application that we are familiar with. These are two different interfaces that are not compatible with each Other. You are better off Installing the Needed Card for your Device Either a USB Card for USB Devices or a Firewire Card for Firewire Devices. OK so you want to purchase this anyways. Please note there is a NO RETURN POLICY on this Cable. It has a 4 Pin Firewire Connector and a 4 Pin USB Connectors. OK you found a Device that this works for, I would love to know.